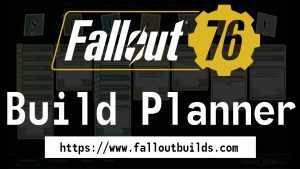 Feedback and suggestions for the site FalloutBuilds.com. How do I change the website language back to English? 2 posts, last by Dennis 3 months ago. In the Level Assistant section, you should add in Levels past 50. You can keep leveling up past 50 but stop gaining stat points and only gain cards. But sometimes that’s required to finish a build, like mine I need to be lv56 to be finished unless I manage to find some of the cards I need from packs. First of all, thanks to all the contributers of this simple and usefull site. 3 posts, last by Dennis 5 months ago. It would be nice to have a leveling roadmap based on the level of our perk cards that outlines what special and perk we need to take at each level. 4 posts, last by Dennis 5 months ago. I’m finding it difficult to navigte the site, because there’s random German text on certain pages and buttons. Also just wanted to say, great site man, very useful tool! Thx!!! 4 posts, last by Gristle 4 months ago. I’ve been able to click on a card, away from stars to reset to zero stars, but the vast majority of the time, i’m forced to start from scratch if i change my mind about a card. 3 posts, last by Saerein 5 months ago. I’m no programmer, I know nothing about software developing, so I do not know how hard it would be to make a app version of this website. Something like the Path of Building app for Path of Exile, where you can save different builds. Just a thought, it would be great. 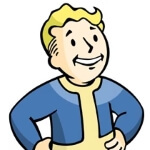 This forum has 20 topics, 29 replies, and was last updated 3 months ago by yajnaji.